Johannes Endres joined the departments of Art History and Comparative Literature at UC Riverside in summer 2015 as Assistant Professor. He has received his academic education in Germany, at the Universities of Trier and Leipzig, where he earned his Dr.phil. in 1995, and his Habilitation (Dr.phil.habil.) in 2004, respectively. In the US, he has been teaching as Visiting Professor at the Universities of California in Riverside and Irvine, at San Diego State University, Vanderbilt University, and Cal State Long Beach. Important emphases of his research and teaching lie in the area of the history and arts of the ‘long 19th century’, from enlightenment to Weimar Culture and Vienna Moderne. He has published extensively on the intersections of text, visual arts, music, intellectual history, natural sciences, and the history of science. 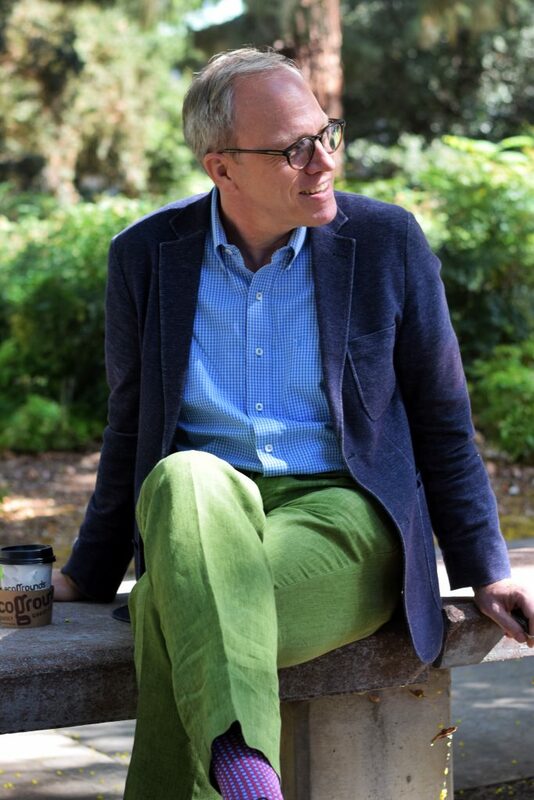 His most recent research projects are dedicated to Friedrich Schlegel, a pivotal figure of German and European intellectualism, and to concepts of fetishism in art, culture, and social studies. The course provides an introduction to Berlin and the modern concept of the metropolis as a gateway between the East and West, past and present, private and public life. It explores the topography of the city and the urban space through visual art, film, music, and text. We discuss aspects of city life and its changing expressions in 20th-century culture. This course is an introduction to artistic achievements of the world’s cultures and to the ways in which they can be viewed. It provides students with a sound understanding of major art works from all ages and corners of the world, and the theoretical concepts and historical circumstances to which they owe their existence. We ask questions such as: What is art? What is an artist? How has their perception changed over time? What is an image? Why does art exist? What is ‘world art’? Why do we study art history? 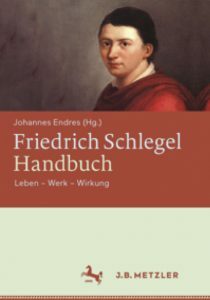 “Charakteristiken und Kritiken (Characteristics and Critiques),” Friedrich Schlegel Handbuch: Leben – Werk – Wirkung, ed. Johannes Endres, Stuttgart: J.B. Metzler 2017, 101-140. “Über die Sprache und Weisheit der Indier (On the Language and Wisdom of the Indians),” Friedrich Schlegel Handbuch: Leben – Werk – Wirkung, ed. 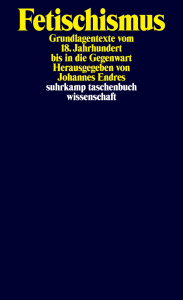 Johannes Endres. Stuttgart: J.B. Metzler 2017, 218-224. “Über deutsche Sprache und Literatur (On German Language and Literature),” Friedrich Schlegel Handbuch: Leben – Werk – Wirkung, ed. Johannes Endres, Stuttgart: J.B. Metzler 2017, 235-237. “Stockings,” Textile Terms: A Glossary, ed. Anika Reineke, Anne Röhl, Mateusz Kapustka and Tristan Weddigen, Berlin: Gebr. Mann Verlag 2017, 243-247. Kleist scholars tend to imagine the author as the paradigmatic exponent of a tragic mind. The shadows of his tragedies in life and literature seem too heavy and gloomy to leave room for comic tendencies. Although Kleist’s two comedies have always been acknowledged as true highlights in the history of the genre, his comic “strategies” – as well as their precedents from Lessing to Freud – have mostly been ignored. However, with such strategies in mind, the author’s situation appears as one in which the demands of an idealist worldview provoke a retreat to the limited and reduced formats of comedy. Kleist’s massive ‘struggle with Schiller’ – his predominant role model and antipode – is here reexamined in the light of a general struggle to avoid tragic inevitabilities.